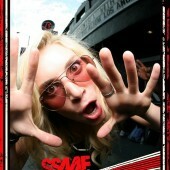 We had a great time hanging out with The Roxy crew this past weekend for the Sunset Strip Music Fest. Three days of music, madnes, and food trucks. We can’t wait until next year.